Welcome to Transfer News Central’s Deadline Day LIVE coverage! We will cover all the latest moves and rumours with our editors tuning in throughout the day. As always, we’ll be here right down to the wire! Gary Gardner joins Birmingham City on a season long loan from Aston Villa. ✍️ We are delighted to announce the signing of striker Josh Gordon from Leicester City on a three-year deal for an undisclosed fee! Looks like West Bromwich Albion will be doing no business today despite Darren Moore clambering for new faces. Expect WBA in the market for more loan deals up to August 31st. They can sign five more players on loan. Musonda will leave Chelsea for Europe in coming days on loan. He’s one of many youngsters Chelsea will keep out on loan this season. Walsall resign Isaiah Osbourne on a one year deal. Danny Ings has been subject of seven bids today from English clubs, the striker looks like he’ll be staying at Liverpool unless he’s loaned away before August 31st, that could be a foreign club. Timothy Fosu-Mensah is closing in on deal taking him to Fulham. Ben Brereton has been subject of a £5 million bid from Blackburn Rovers. Nottingham Forest are considering the deal. Federico Fernandez is typing up lose ends at Newcastle United and is expecting an official announcement soon. Harry Arter has rejected Watford to join Cardiff on a season long loan. Watford still working on signing Jake Livermore from West Brom who are reluctant toto allow fellow midfielder Sam Field out on loan despite numerous clubs attempting to sign the academy product. Daily Mail reports that Newcastle have approached Monaco over a possible move for Brazilian left-back Jorge but may not be able to complete a deal in time before deadline. Newcastle were close to signing centre-back Marlon Santos from Barcelona, but the player failed to obtain a work permit in time. Instead the club are set to sign Federico Fernandez from Swansea on a possible £6m fee. Daily Mail reports that Fulham target Martin Montoya has decided to join Brighton and Hove Albion and should complete his move today! Deadline day for you! After failing to convince Oleksandr Zinchenko to join from Manchester City, Wolves have now enquired about Leicester City’s Danny Simpson. Leicester are open to either selling him or loaning him. Victor Moses is another target for Wolves, with the player likely not to have a place in Sarri’s squad at Chelsea this season. I am happy to keep all the squad together, there were many rumours during the summer about players out,” the Spurs boss said. “The club made a massive effort to try and extend contracts of Harry Kane, just one example. The club is trying to finish the stadium as soon as possible. “It is difficult to understand for people in football that Tottenham didn’t sign or didn’t sell players but sometimes in football, you need to behave different. “We are happy with our squad and we cannot improve our squad. It is better to keep our squad all together, we believe a lot in our players. Sevilla goalkeeper and former Chelsea target Sergio Rico is in London and is finalising his season-long loan move to Fulham. What a signing he is! BBC report that West Ham might not be done after the signing of Lucas Perez, as the club are trying to sign Carlos Sanchez from Serie A side Fiorentina. Let’s see if a deal can be done before deadline. Sky Sports: Swansea City striker Jordan Ayew is undergoing a medical with Crystal Palace as he’s set to sign on a season-long loan with the club having an option to sign him. Daily Mail are reporting that Cardiff City are interested in signing Andy King from Leicester. The player prefers a Premier League move but is running out of time and might make the Championship move. Freiburg defender Caglar Soyuncu is undergoing a medical for Leicester City in Germany, as he has no time to come to England and complete a deal. BBC: Manchester United enquired about Diego Godin earlier in the week but were not given any encouragement by the La Liga side, as they are set to offer him a new contract. Watford have asked West Bromwich Albion about a loan deal for England international Jake Livermore. Sounds like Albion aren’t interested in the deal, Watford also have an interest in the Baggies defender Craig Dawson who they also offered a loan deal for. Defender Dan Burn is closing in on a £5 million switch to Brighton from Wigan Athletic. Sky Sports reports that the agent of Victor Camarasa confirmed his client has passed a medical with Cardiff City and will train with the team today. Will be announced shortly. Jack Grealish will be offered improved terms by Aston Villa as the midfielder stays amid Spurs interest. West Bromwich Albion have offered Sam Field to Rangers to try and get James Taviner deal across the line. Newcastle United are awaiting to see if a work permit will be approved for Barcelona centre-back Marlon Santos as they are close to signing the player. He would join on a season-long loan. Let’s see if a deal can be done by 5pm. Busy day for the London club. Daily Mail says Fulham are in talks with Atletico Madrid for winger Oscar Pinchi. On the other hand, Marseille midfielder Zambo Anguissa has agreed his wages with Fulham, but the clubs are still discussing a €30m deal. Barcelona defender Yerry Mina will now conduct his medical for Everton in Spain in order to complete the deal before the 5pm deadline. He will likely not be the only signing for Everton as they’re set to announce the signing of Bernard while keeping tabs on Kurt Zouma and Andre Gomes. Birmingham Mail are reporting that Jack Grealish has accepted that he will not be leaving Aston Villa today and is likely to be rewarded a new contract by the club. Manchester United are now trying to sign Diego Godin from Atletico Madrid, according to Sky Sports sources. That’s deadline day for you! Names pop up with 6 hours to go. Let’s see if they can get the deal done. Stay tuned! Could Danny Welbeck be the story of the day? The Arsenal forward is free to leave the club and there’s a number of clubs after the former Manchester United player. Daily Mirror are reporting that Burnley are trying to sign Yannick Bolasie on loan from Everton. The player is set to leave Everton today with interest also coming from Middlesbrough and links to Crystal Palace. Sky Sports report that Leicester City have told Manchester United that despite signing centre-back Filip Benkovic and about to sign Caglar Soyuncu, they will not sell Harry Maguire as he is not for sale. Bad news for Jose Mourinho with deadline fast approaching. Leicester City have announced the signing of Filip Benkovic from Dinamo Zagreb for a reported fee of £13m. The player signed a five-year deal with the club. Sky Sports now reporting what we did a couple of hours ago. Middlesbrough are interested in signing Mo Besic on loan from Everton. Leeds are also interested in bringing him on a permanent or loan deal. Fee for Lucas Perez is £4 million. Could be bargain of the summer from West Ham! Darren Moore is desperately looking for a right back for West Brom a couple of irons in the fire and a late push for Luke Ayling from Leeds for £5 million will be knocked back. Connor Washington is in talks to join Millwall on loan from Queens Park Rangers. DEAL OFF! Wolves dissapointed as Zinchenko gets cold feet on them. He was set to join from Manchester City for £16 million. Medical was today but the player has decided against joining the Premier League newbies. Burnley losing confidence in getting the Jay Rodriguez deal done. Forward was keen to back to his old club but two clubs struggling to agree a fee. This also means it looks like Sam Vokes will be staying at Turf Moor today. Just a bit more on Craig Dawson, the defender is also wanted by West Ham. Player keen on a move back to the Premier League. Sounds like Lucas Perez to West Ham United is a done deal, just waiting for official confirmation. Watford still deciding on whether to put in a form bid for Craig Dawson who has been left out of West Bromwich Albion matches squads so far this season. The Clucas deal would then allow Swansea to stump up £6 million for Brentford midfielder Ryan Woods. Sam Clucas has arrived at Stoke City for a medical . “The information I have is no” says Jose Mourinho on incomings and outgoings at Manchester United today. Jordan Jones wanted by numerous clubs, Kilmarnock waiting on bids, Swansea said to be the front runners. Liverpool have received no bids for striker Danny Ings, also looks like Divock Origi may be staying at Anfield. Ryan Sessengnon is also not moving today as Fulham confirm they won’t accept any bids for their star. Southampton are demanding £20 million for Matt Targett who is wanted by Fulham, long way to go as Fulham don’t want to pay that much! Harry Arter has a decision to make today with Watford and Cardiff City both after the Bournemouth midfielder. More when we have it! Another Swansea outgoing today could be Federico Fernandez as Newcastle United are talking to the Swans about a deal. Daily Mail: Stoke City are trying to complete the signing of Swansea midfielder Sam Clucas who was close to joining Burnley for £8m before the deal scuppering. Burnley were willing to come back for a move in January, but Stoke are now trying to bring the player in today. The player is willing to join but Swansea need to sell first before buying. Daily Mail reports that Burnley are interested in bringing back Jay Rodriguez from West Brom but WBA are demanding £18m for the player. Burnley were open to offering Sam Vokes as part of any deal, but West Brom wanted £10m plus Vokes – a deal that Burnley rejected to offer. Time is running out with Vokes currently in Turkey. Hull City are looking to get four new faces in but the KCOM won’t be too busy today as Championship clubs can still loan to buy until August 31st. Jordan Ayew is closing in on a loan move from Swansea City to Crystal Palace. Forward has refused to train with Swans following relegation to try and force a move away. Expect some outgoings today at Newcastle United, no big names expected to leave but Ivan Toney is wanted by many, young keeper Freedie Woodman also one that may leave although Newcastle would prefer that to be a loan deal. ‘We’re a big club. We’ve had a mixed pre-season and what we’ve got to start doing now is putting things right in training. At United we have to sign big players with experience. Big day for Jack Grealish but it’s already looking like the Aston Villa man won’t get his Spurs move and will run down his contract at Villa Park. Can something happen in the next few hours? Sky Sports News has an update on the centre-back situation for Manchester United. They claim Jose Mourinho personally wants Jerome Boateng to be signed, while the board prefer signing Harry Maguire over Toby Alderweireld but Leicester are refusing to sell. Stay tuned as Manchester United look desperate to sign a defender. With Joe Bryan set to join Fulham from Bristol City, the club is looking to replace him by signing Chelsea youngster Jay Dasilva on a season-long loan. Bolton were one of the clubs also interested in bringing in Dasilva. 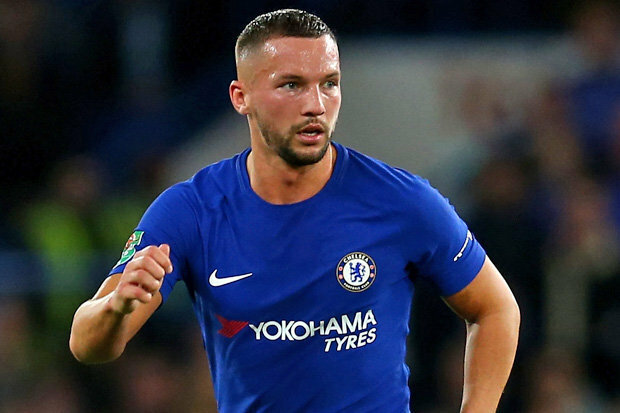 Deemed surplus to requirements, Chelsea midfielder Danny Drinkwater could be set to move out on loan with Everton and West Ham keen on the former Leicester City man. He is an experienced midfielder but failed to recapture his form at Leicester City. A loan move would be a good decision for the player and the loanee club considering what he could offer if he could get back to his best. Daily Mirror reports that Leeds United boss Bielsa wants to sign Mo Besic from Everton in a £4.5million deal. If the club doesn’t have time to sign him permanently before deadline, they’d then look into trying to sign him on a season-long loan with an option to buy. Middlesbrough are also interested in the player. A deal could happen any moment today. Rangers boss Steven Gerrard might ask his former club for a favour as he’s expressed interest in bringing in Liverpool’s Dominic Solanke on a loan deal. The club do not want to sell him permanently but might be open to loaning him out for more game time. Is it a good move? Crystal Palace star Wilfried Zaha was linked with moves to Chelsea, Everton and Tottenham Hotspur. The player was looking for a move, but clubs were not interested in paying his £75million price tag. Reports now suggest he is now content with staying at the club and is looking forward to the upcoming season. West Ham are considering a move for Tottenham Hotspur striker Fernando Llorente after sending Jordan Hugill out on loan to Middlesbrough. Will a late move happen? Another striker target is Moussa Marega of FC Porto. The Hammers had a bid of £26million bid rejected earlier in the summer, but might come back with a bid near their £35million valuation. The player is refusing to train with Porto as he is trying to push a Premier League move. After breaking the world record for a goalkeeper, Chelsea are expected to announce the signing of Mateo Kovacic from Real Madrid on a season-long loan. Some reports suggest there will be an option to buy with others claiming there won’t be one. There are several reports that Chelsea might ask for Martial if Manchester United go for Kurt Zouma which could ignite a late Willian/Martial swap. There’s also interest in Nabil Fekir of Lyon who was close to joining Liverpool before the World Cup. It’s likely that Chelsea’s only signing today will be Kovacic with Kepa’s signing announced yesterday. In regards to departures: West Ham, Leicester City, and Crystal Palace are all interested in signing Danny Drinkwater a year after he joined Chelsea. Another midfielder set to leave is Tiémoué Bakayoko who is set to join AC Milan on a season long loan with the Serie A club having an option to sign him for €30-35m. Kurt Zouma is expected to go out on loan with links to Manchester United and Everton. Tammy Abraham is set to stay at Chelsea after loan links to Brighton, as Michy Batshuayi looks set to leave with links to Valencia and Sevilla. REMINDER: English clubs can still sell to clubs outside of England until the end of the month. Will Manchester United boss Jose Mourinho get the centre-back he’s been asking for this summer? The club is linked to Tottenham’s Toby Alderweireld, Bayern Munich’s Jerome Boateng, Leicester City’s Harry Maguire, and Chelsea’s Kurt Zouma. Sky Sports report that United are only interested in bringing Boateng on a loan deal and not on a permanent deal. Le Parisien in France are reporting that he’s set to join Paris Saint-Germain, so the deal seems unlikely at this stage. Manchester Evening News claim that Maguire wants a move to United but Leicester are asking for a £75m fee. For Alderweireld, Tottenham might not be quick enough in finding a replacement meaning they’ll probably end up keeping him. With deadline at 5pm, the club might still try to bring in Maguire, Zouma, or Alderweireld as they are easier to sign before deadline. Never say never. Fulham are not done with the transfer window as they are expected to seal THREE deals today on deadline day. One of their signings is expected to be Sevilla goalkeeper Sergio Rico on a loan deal – a goalkeeper that was one of Chelsea’s options. The London side are also looking to sign Bristol City left-back Joe Bryan who’s reportedly undergoing his medical. Finally, they’re looking at bringing in midfielder André Zambo Anguissa from Marseille who is valued at £25million. Everton will have a busy transfer deadline day as they are close to signing THREE players today and are trying to bring in a FOURTH. Bernard is expected to be announced as the first signing today on a free transfer. The club is also set to win the race to sign Yerry Mina from Barcelona. They’re interested in bringing Kurt Zouma on loan from Chelsea and are now linked to Andre Gomes of Barcelona. If they can pull off these signings, then it’ll be a VERY successful window for the Merseyside club. WORLD RECORD: Chelsea broke the record for the most expensive goalkeeper yesterday night with the signing of the Kepa Arrizabalaga for a record fee of £71.6m beating Liverpool’s signing of Alisson Becker for £66.8 million. The former Athletic Bilbao player signed a seven-year contract. His signing means the Premier League now possesses the top 2 most expensive goalkeepers in the world. The most anticipated day of the transfer window has finally arrived – deadline day! There has been a change in this year’s deadline day as it’s now closing earlier at 5pm BST today instead of the usual August 31. English clubs can still sell or loan players outside of England as deadline is still the same for other European countries. Today will be a very busy day, with a multitude of deals yet to be completed and surprises yet to be unveiled. Transfer News Central will be there for every single step of the way until the transfer window shuts completely. Welcome to our live blog!